Being alone this time of year has its benefits. 1. This girl who knows when to get the best deal. 2. This sign writer who gave the perfect advice for celebrating Valentine's Day. 3. This financial guru who knows what's best for his wallet. 4. 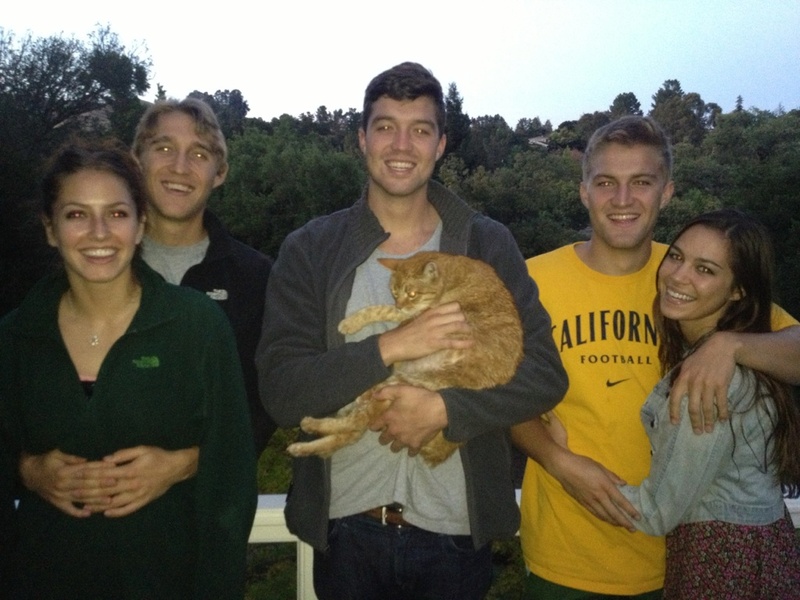 This guy who's just happy to be with his cat. 5. This guy sharing a nice romantic meal with his dog. 6. This girl making the most of two-for-one deals. 7. This guy who knows how to treat himself. 8. This man who doesn't need any help getting that perfect selfie. 9. This vehicle owner who's proud to display her feline companions. 10. This girl making out with her beverage. 11. This man showing himself some love. 12. 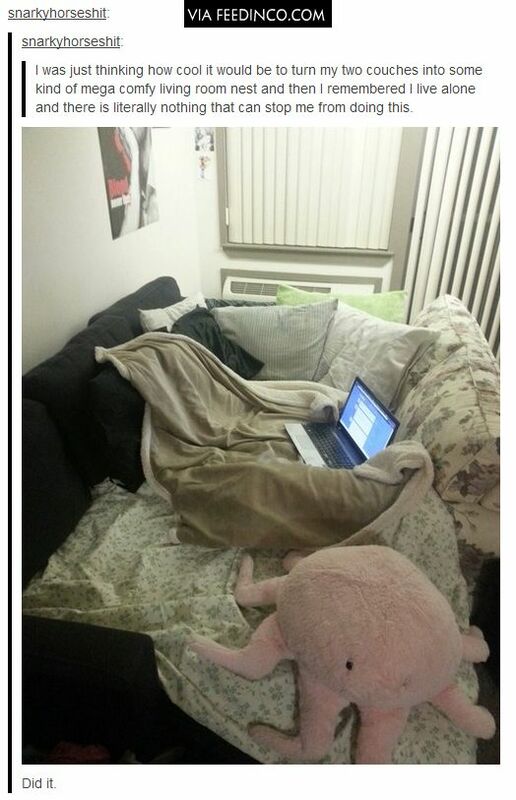 This ingenious double couch owner. 13. This baker delivering the message via cake. 14. This person getting close to nature. 15. This man who decided to take a solo tour of a chocolate factory. 16. This person really making the most out of being able to eat whatever you want. 17. 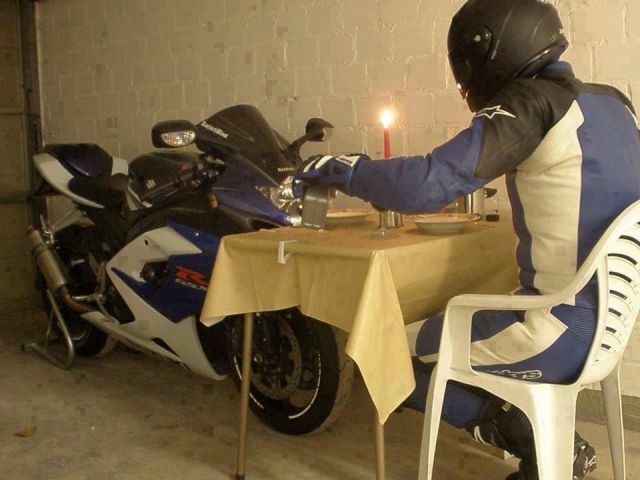 And finally, this man treating his motorcycle to a romantic candlelight dinner.